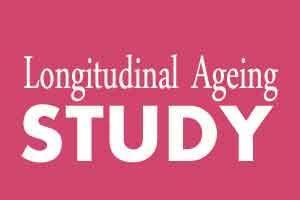 The Ministry of Health & Family Welfare launched the Longitudinal Ageing Study in India (LASI). Launching the project, Shri B P Sharma, Secretary (HFW) stated that this is the largest surveyof its kind. It will survey more than 60,000 elderly over 25 years plan. He further added that this survey will provide scientifically validated data on various issues of the elderly. “The importance of the study derives from the increasing portion of elderly population in the country. The study will provide valuable data on their health needs, and issues faced by them given the changing social structures, and help us to draw policy tools to address their issues,” said Shri B P Sharma, Secretary Health. Terming this a very useful study, Shri Sharma further added that the LASI study will provide guidance to move forward in designing schemes for the elderly. He also informed about the Health Protection Scheme announced in the recent Budget, which has a special component of Rs 30,000 for the elderly in the family. In her address, Dr SoumyaSwaminathan, DG, ICMR, said that there is a tremendous opportunity as this will lay the foundation for other studies on social justice issues also. She further added that this will be a strong study which will help in designing key interventions. Smt. Anita Agnihotri, Secretary, Social Justice and Empowerment, stated that this study will help design policies to mainstream the elderly, to reduce their vulnerabilities and enhance access to various services. Speaking on the occasion, Dr Jagdish Prasad, Director General of Health services (DGHS), said that the study will be important as it will investigate various health structures, and impact of social determinants on health of the elderly. It will also help in framing evidence-based policy. LASI is the largest study on older population in the country. The International Institute for Population Sciences (IIPS), Mumbai in collaboration with Harvard School of Public Health (HSPH) and University of Southern California (USC), USA is undertaking the “The Longitudinal Ageing Study in India” under the aegis of the Ministry of Union Health and Family Welfare.LASI is jointly funded by the Union Ministry of Health and Family Welfare, the United States’ National Institute on Ageing, and the United Nations Population Fund-India. Population ageing is taking place in nearly all the countries of the world. The global share of older people aged 60 years or over increased from 9.2 percent in 1990 to 11.7 percent in 2013 and will continue to grow as a proportion of the world population, reaching 21.1 percent by 2050. Presently, about two thirds of the world’s older persons live in developing countries. By 2050, nearly 8 in 10 of the world’s older population will live in the less developed regions. While global ageing can be seen as a symbol of medical, social, and economic advances and also has major health, social and economic consequences over the past half century, it also represents a significant policy challenge. Population ageing threatens to topple existing insurance and pension systems and create health system overload; therefore calls for review of existing models of healthcare, familial and social support. The phenomenon of global population ageing has the potential to fundamentally alter disease burdens, economies and trade, and human migration. According to the 2011 census, the 60+ population accounted for 8.6% of India’s total population or 103.84 million elderly. With currently 1.3 billion people, India is projected to become the world’s most populous country within a decade.There are several forces driving India’s population growth and changing age structure, including an upward trend in life expectancy. An Indian born in 1950 could expect to live for 37 years, whereas today India’s life expectancy at birth nearly doubled to 68 years, by 2050, it is projected to increase to 76 years. As a result, India’s population will rise from 1.3 billion today to an estimated 1.7 billion by 2050, with a much larger elderly share of around 340 million. Including the pre-retirement phase (i.e., population age 45+), the proportion will rise to over 30%, or almost 600 million persons. Between 2011 and 2050, the number of oldest old people of age 75 and above is expected to increase by 340%. As no sufficiently broad nationally representative dataset on older population is currently available in India, comprehensive new scientific data are needed to conduct analyses of health, economic and social challenges based on population ageing and to formulate mid- and long-term policies and programmes to address these and other challenges presented by population ageing.LASI will contribute greatly to the newly launched the National Programme for Health Care for the Elderly (NPHCE) and the social and economic security programmes planned to be initiated by the Ministry of Social Justice and Empowerment (MoSJE). LASI will help in expanding the scope of health and social security policy and programmes for older population.